It is with great pleasure that we share with you information about the Emergence of Maitreya—the World Teacher for all humanity. Expected as the “Coming One” by the world’s religions under various names: the Christ, Messiah, the fifth Buddha, Krishna, or the Imam Mahdi, Maitreya is not a religious leader per se, but an educator in the broadest sense of the word. At this time of great political, economic, and social crisis, Maitreya will inspire humanity to see itself as one family, and create a civilization based on sharing, economic and social justice, peace and global cooperation. Take this Introductory Tour which gives an overview of the World Teacher’s Emergence and His message of hope for the future, or download this introductory brochure. 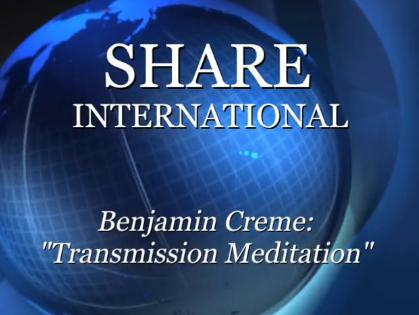 We encourage you to subscribe to Share International magazine as the authentic source of all ongoing information, including the most recent updates, inspiring articles, and a monthly message of hope from the Master— (Whose name is currently being withheld for various reasons), through Benjamin Creme. You can also subscribe to our Free Monthly Emergence Newsletter. Sign up for either the print version or electronic version. Please contact a NZ Regional Centre near you. For your convenience, you can locate a NZ Transmission Meditation Network group in your area that can provide information on local Transmission Meditation groups and regional events. Share International Australia is a group of volunteers who work with similar groups worldwide. We are not affiliated with any religious group – we respect the truth at the heart of, and common to all spiritual traditions. Our purpose is to make known information about the emergence of the Spiritual Hierarchy and their concerns. These include the realization by humanity of our divine nature; a world at peace; restoration of the environment; sharing of the world’s resources, and adequate food, housing, healthcare and education for all people. 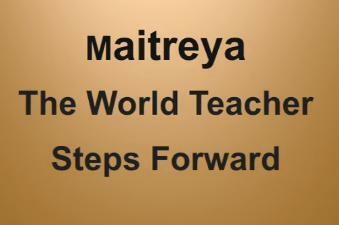 Our work has been to create the climate of hope and expectancy for Maitreya’s Emergence. Now that He has begun His public appearances, having given His first television interview, Share International will provide background and report updates to this historic event as it unfolds. Millions throughout the world now anticipate Maitreya’s further interviews and – as His call for Sharing, Justice and Peace nourishes their hopes – eagerly await the experience of Love on Declaration Day. It will be a day like no other.